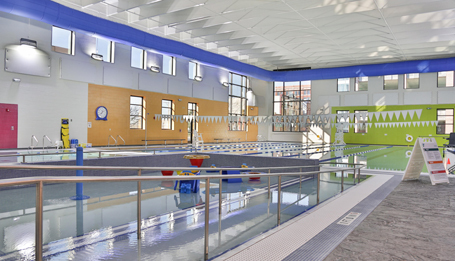 The Kokomo YMCA celebrated the grand opening of its new $16 million facility in February 2016. The open-concept design of the new 83,000 sq. ft. facility allows staff to oversee operations across the facility quite easily. 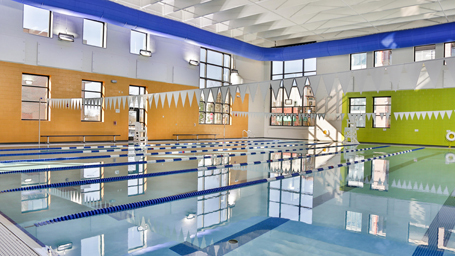 Features includes an aquatics center, a double gym that sits ten feet below the street level, a weight room, a racquetball court, an indoor track, fitness studios, a chapel, and eight family locker rooms. 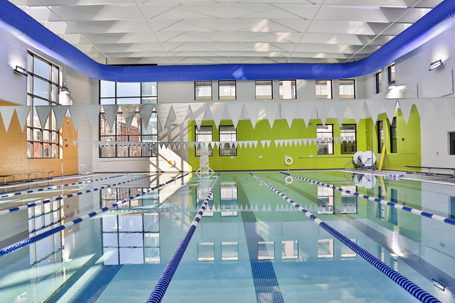 Nine different swim lesson courses are offered along with eight different aquatic exercise programs. The pool area also features sauna and steam rooms, in addition to a party room for children’s birthday parties.